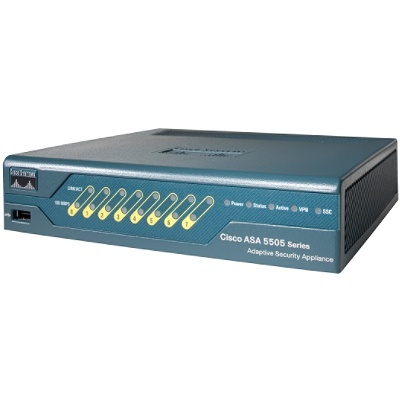 As promised by CDW, the new Cisco ASA 5505 arrived via FedEX this morning. Knowing what I wanted to do and with the technical information in hand, I jumped right into configuration. The sooner that nasty NetGear FVS114 was off the network, the better! I ran through the configuration "wizard" once and it failed. Again, and it failed again. Once more… nada! The wizard had no magic and my morning's efforts were a total waste. I tried a couple of more times in the afternoon with no incantations or curses having an effect. Finally I called Cisco's technical support number. Rather than keep me on hold, they issued an incident number and a promise to call me back in 20 to 30 minutes. They kept their promise and, in less than 30 minutes, I picked up the phone and was speaking with a genuine Cisco security specialist ("wizard"). For those "muggles" not involved in the magical world of switches and routers, the instructions issued and the arcane syntax of that operating system –very similar to Cisco's IOS– can be bewildering. I can read it and make out most of what it says, but cannot write it out fresh… that's what the automated wizard was supposed to do and that's what Cisco engineers can do. However…. even with a trained and experienced live wizard on the case it took more than two hours to get the base configuration up and running and quite a bit more spell casting to get everything to work together — something I should have been able to accomplish in less than one hour's time had the wizard in the box any magic. The engineer wizard said he believed the software wizard was corrupt. I had more drastic opinions but kept them to myself. He's supposed to send me a replacement automated magician so that I can use the GUI to continue configuration of the 5505. Thank goodness for the real live wizard on the phone! The server is back online and available for public use, now better protected against miscreants. After putting in a 12-hour day yesterday tending the lousy FVS114 I need a rest. The NetGear box is now disconnected, powered down, and awaiting its fate. No wizard in (either) box!